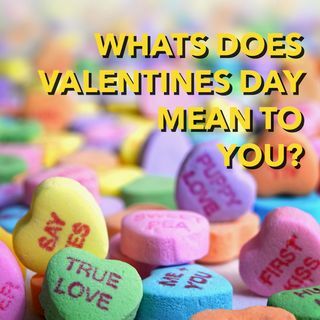 Does Valentine's Day hold any meaning for you? The meaning it carries directly relates to the life situation you find yourself. Lets focus on who's actually celebrating VDay, the reasons for celebrating the day, and what the day has actually become mentally, emotionally, and commercially. Don't miss it, later in the podcast I'm discussing the different perspectives with regards to the holiday based on where you are in life with regards to romantic love, new love, marriage, ... See More divorce, overcoming toxic relationships, learning who you are outside of co-dependency and the list goes on. You can't miss this mental and emotional dissection of the 14th, Valentine's Day.